This giant inflatable kiosk created eye-catching area for the Nivea Soft launch event. Individuals were able to walk throughout the kiosk, get product samples and learn more about the Nivea's new line of skin care products. 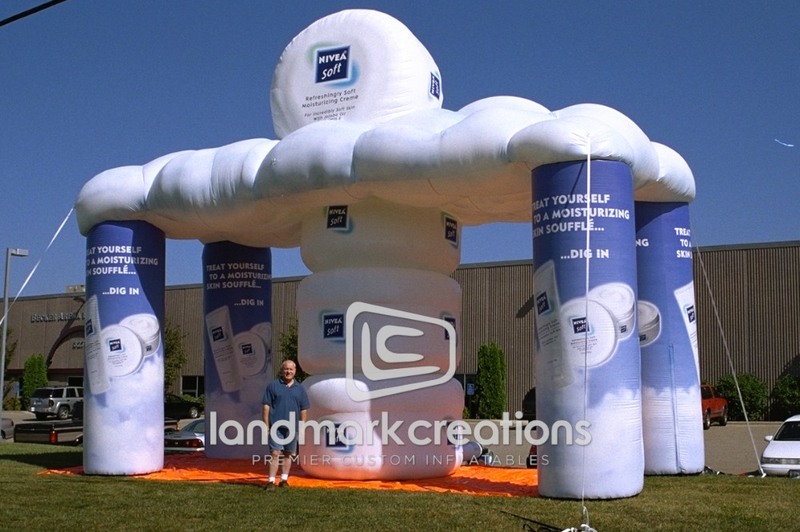 "I chose Landmark Creations because they had a reasonable price for a customized inflatable. The other inflatables featured on their site made me confident that they could produce exactly what I was looking for."